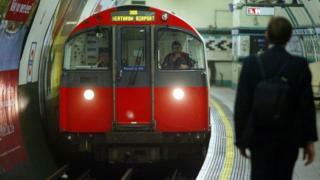 London Tube drivers on the Piccadilly Line will hold fresh strikes in a row over staffing and working conditions. Rail, Maritime and Transport (RMT) union members will walk out for 48 hours from 12:00 BST on 26 September, then for another five hours from 20:30 on 28 September. The union's general secretary Mick Cash claimed relations between workers and bosses had "sunk to rock bottom". Tube bosses called the action "disappointing" and "unnecessary". The Piccadilly Line serves Heathrow Airport and carries about 500,000 passengers every day. The RMT said the action was due to "a comprehensive failure by management to deliver on promised improvements following previous rounds of industrial action". Nigel Holness, network operations director for London Underground called on the union "to continue to work with us on the issues they have raised". Drivers on the line were previously due to walk out in July but the action was suspended following last-minute talks.